The Test Email Auto configuration option in Outlook is very useful when looking at issues around Autodiscover. It shows you what has been returned to the client and therefore can show where a configuration error has been made. To access the tool, with Outlook running, hold down CTRL and right click on the Outlook icon in the system tray. 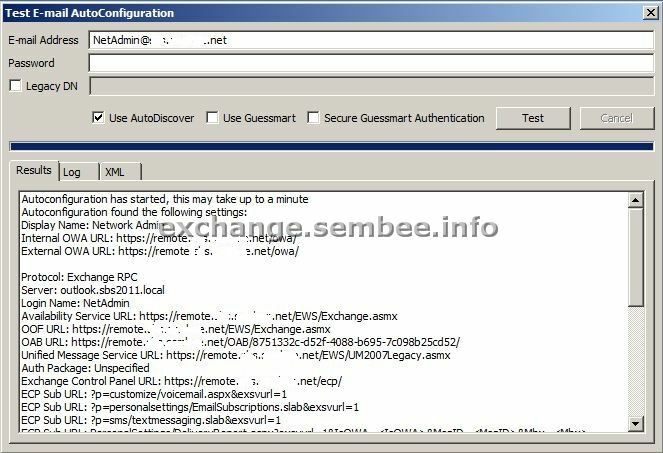 Choose "Test Email Auto configuration..."
Once the tool has loaded, deselect "Use Guessmart" and "Secure Guessmart Authentication" as those are not used by Exchange so will just slow things down. If you are testing on a client that is not a member of the domain, then enter the password. Then click Test and wait for the results. You can click on the Log tab to see what the tool is doing. This is where the value comes in with regards to troubleshooting, as it shows whether the tool has found an Autodiscover entry on the domain (found through SCP) or using DNS. The results tab will show you how Outlook would have been configured, and the XML tab shows you what the Exchange server returned to the client. 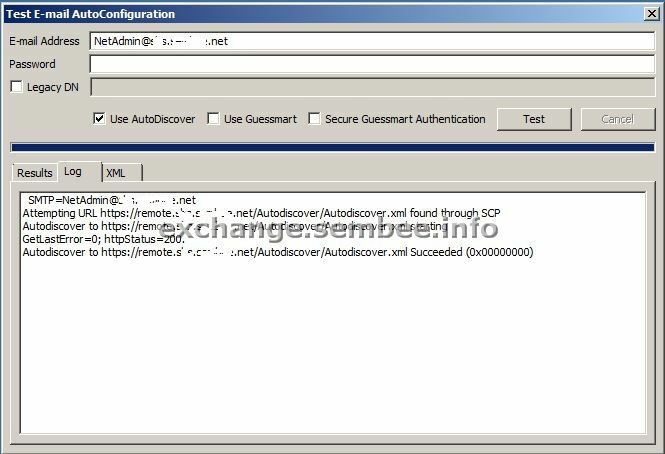 You can also test the Autodiscover process using a web based tool that Microsoft have provided at http://testexchangeconnectivity.com/ - there is also link to this tool in the Exchange 2010 toolbox. This tool is useful for testing external DNS from within your own network. 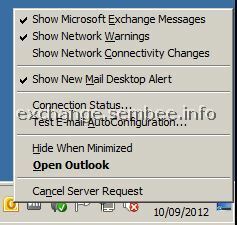 You can also test the connection from the Exchange server itself using the test-outlookconnectivity command.